Rejoice. Rejoice. A new trail has just been opened for walkers, cyclists and horse riders along the southern shore of Loch Ness. Not-for-profit organisation Destination Loch Ness led the effort to create the 28 mile (45km) route. It said there was a long term plan to link the trail with the Great Glen Way and new canoe trail. Launched in 2006, Destination Loch Ness has members from more than 100 businesses. Three tourism groups are also affiliated to the organisation. 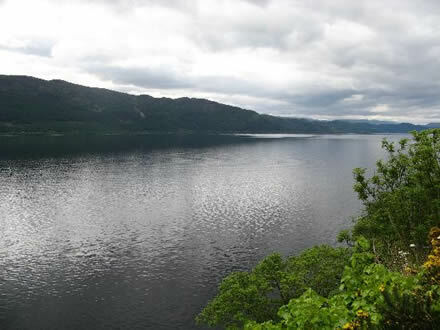 Destination Loch Ness executive director Graeme Ambrose explained: "The south side of Loch Ness has, for many years, been in the shadow of the north side with most visitors travelling the tourist route of the A82 and never really knowing what the opposite side has to offer. For those who did venture over to the south side, their only stops would be Foyers Falls or Dores village. "By linking and upgrading the existing trails and creating new sections, we now have an unique continuous 28 mile trail which is an attraction in its own right, and hope to encourage more visitors to explore the south side, which means there is a real potential for the trail to deliver economic benefit to South Loch Ness as people spend more time in the area. We know they won't be disappointed!" In the longer term there are plans in place to connect the South Loch Ness Trail to the iconic Great Glen Way (a favourite with walkers from across Europe and further afield) as well as the imminent potential to link up with the Great Glen Canoe Trail, expected to be completed next spring.